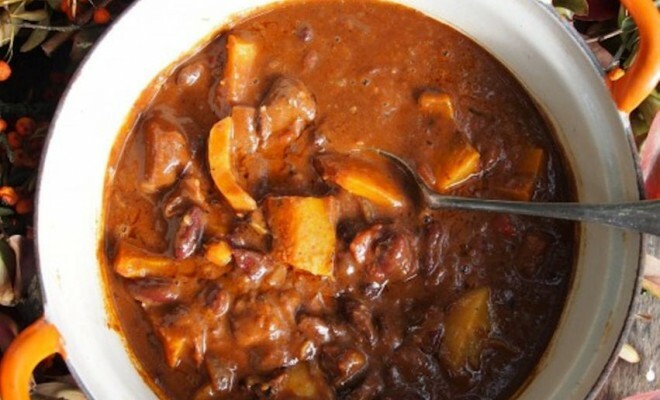 A rich chilli made with pieces of beef rather than minced beef and with an added autumnal ingredient, pumpkins! Chocolate is also added to this beefy chilli, for an authentic Mexican taste – it enhances the depth of flavour in this comforting dish, and adds a silky richness. Serve this with plain boiled rice, or in bowls with grated cheese and sour cream on top, and tortilla chips for dipping! Heat the oil in a suitably sized casserole dish or Dutch oven. Then fry the onion, garlic, chopped pumpkin and fresh chilli gently without colouring for 5 minutes. Add the cumin, coriander, cinnamon, oregano and dried chillies and stir in. Add the diced beef to the onion mixture and pumpkin mixture, and mix gently before stirring in the tomato purée, ketchup, drained kidney beans and tomatoes. Season to taste with salt and pepper, and adjust the chilli heat if needed, before serving with boiled rice or with grated cheese, tortilla chips and sour cream. Recipe courtesy of Karen Booth at Lavender and Lovage. 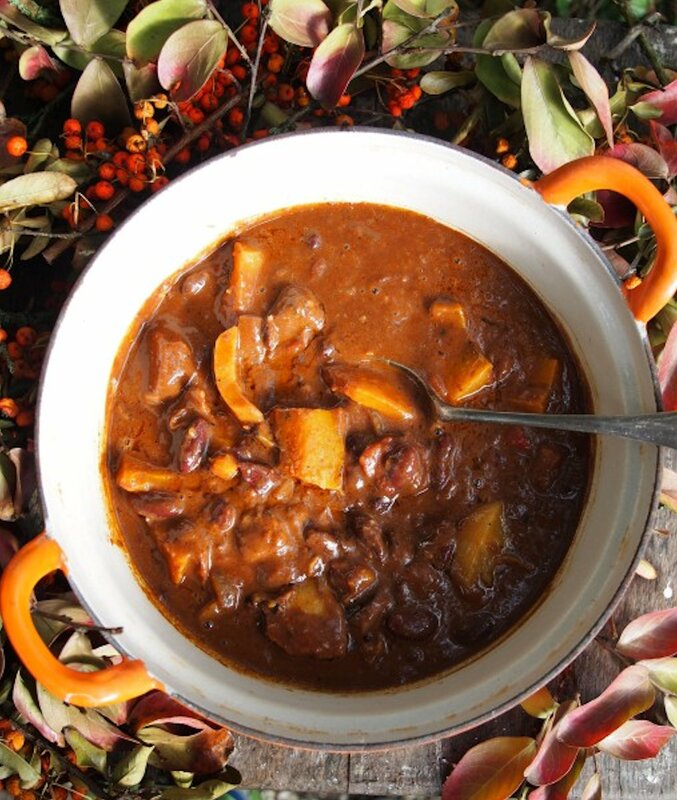 Find more autumn recipes from Karen Booth for Forest Holidays here.